When packing, use boxes, not plastic bags. 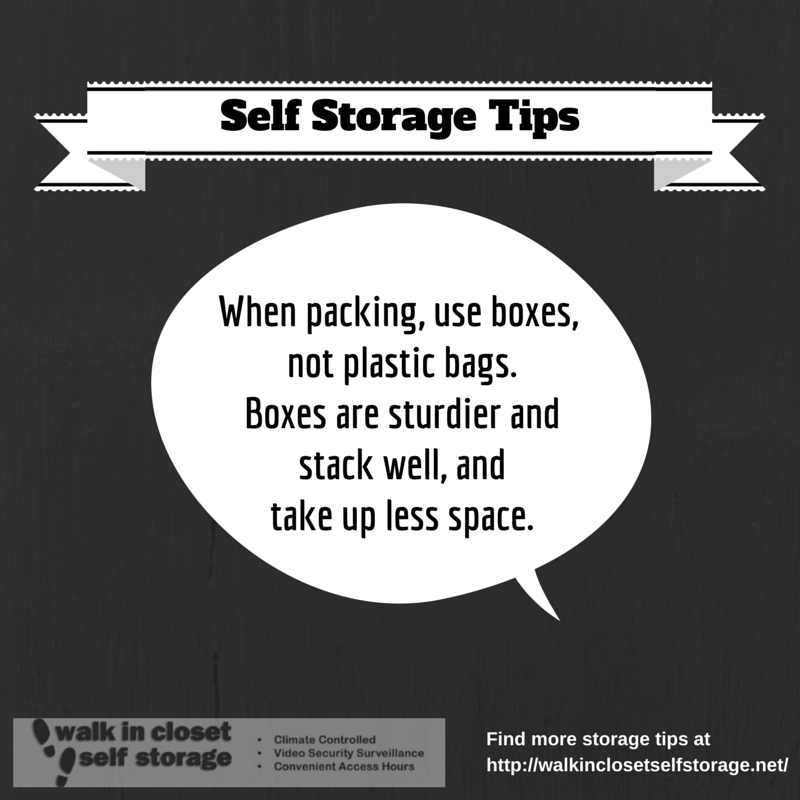 Boxes are sturdier and stack well, and they take up less space. Walk in Closet, self storage in Randolph, provides the ideal solution to the problem of overcrowding. Whether it’s your business files, equipment and retail inventory, or furniture and belongings from your home, our storage closets will accommodate you. Whatever the reason, Walk in Closet provides a safe, temperature-controlled, state-of-the-art storage facility to suit your individual needs. Call 781-885-3965 for more information!